Maintaining a beautiful lawn can enhance the appearance of your landscape, increase the value of your home, and provide a comfortable yard where your children can play and your friends can socialize. However, many homeowners are choosing to use sod as the material for lawn development. If you want to cultivate a healthy and attractive lawn, you should learn about the many benefits associated with Denver sod services. A sodded lawn is comparatively more reliable than a seeded lawn. Sod turfs consist of grass that is already attached to soil layers, and the turfs can easily be rolled and installed onto your yard by local professionals. Installing sod lawns has many advantages over seed lawns. Seed lawns can render you susceptible to certain problems. For instance, the seeds might not take root, might be displaced by wind or animals, and might leave unhealthy bald patches in your yard. In contrast, sod is generally more reliable and conducive to consistent growth. The sod grass takes root effectively, the grass grows in each area successfully, and installing sod can allow you to rest assured that the grass in your lawn should take root and flourish with a lush and beautiful appearance. The ability for the sod grass to grow evenly in the various sections of your yard can prevent your yard from displaying bald, uneven, or unhealthy patches. Denver sod services will allow your lawn to look beautiful in a very short amount of time. Seeds can take an exorbitant amount of time to take root, which can prevent you from being able to utilize the lawn for up to 3 months following the seeding process. However, sod takes root and grows very quickly. Your local landscaping experts can install sod, arrange a sprinkler system that is most conducive for your yard, and ensure that you can enjoy a full and healthy lawn within 1-2 weeks after installation. Additionally, the sod can take root and thrive during any time of the year, as long as water is available. This instant-lawn quality of sod can enable your family to sit, walk, and play on a luxuriant lawn of healthy grass almost immediately after installation. The sod turfs are also easy to maintain. Sod lawns do not require as much water as seeded lawns. Although sod is more expensive than seed lawns, sod lawns can be cost-effective in the long run because the lower water requirements can help you conserve water and reduce your bill. Sod can also effectively prevent weed problems from developing on your lawns. This is especially beneficial, for the sod can protect your plants from being damaged by weeds, preserve the healthy quality of the grass, and prevent you from needing to spend time and energy eradicating harmful weeds. Additionally, having landscaping professionals install sod can also reduce your maintenance requirements by quickly decreasing mud, dust, or erosion hazards. 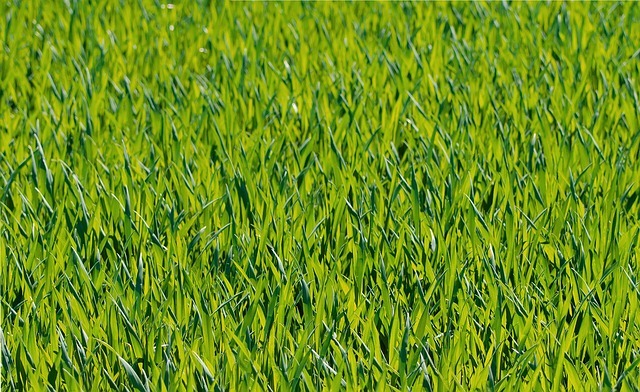 Learn more about how to get and maintain a healthy lawn. Contact Water Solutions to install your sod lawn today! With over 20 years of experience, our elite staff has earned a great reputation for providing superior and customized landscaping services throughout the Denver area. We can provide comprehensive lawn services, we use the best landscaping and sod products available, and we would be glad landscape your lawn.